****** Now almost 250 photographs of Barking & Dagenham are in the gallery pages. All 'links' to other sites have been restored. If you notice one of the 'links' not working please contact me. The UK was supposed to leave the European Union today (29th March 2019). However, it has not transpired. They need more time unbelievably after 2.75 years. Whether you support Brexit or not, the whole thing is shambles! Both Barking & Dagenham voted to leave in the referendum of 2016. Barking was 162nd in the country with a leave vote of 60%: while Dagenham & Rainham was 19th in the country to leave with 70.3%. An eight option vote took place on Wednesday 27th March 2019: As for the MP's for the borough: Dame Margaret Hodge voted unbelievably Against no deal, and For revoking article 50: while MP for Dagenham & Rainham, Jon Cruddas voted Against no deal, and Against revoking article 50, Their full voting records on this 8 option vote can be found here: - https://www.bbc.co.uk/news/uk-politics-47726787 You have to ask yourself are they standing up for the people of their own constituencies or their own interests? It is very hard to talk about Barking & Dagenham today. The region and the town in particular has very little going for it. The centre is blighted by flats, many of which are high rise. These are not wanted in a town centre, but like many towns, planners and developers have long sold out over extra revenue for Council coffers. The town centre has very few original people living here, being replaced by a multi-national population and indeed their cultures. Needless to say almost all the old amenities have closed there doors. 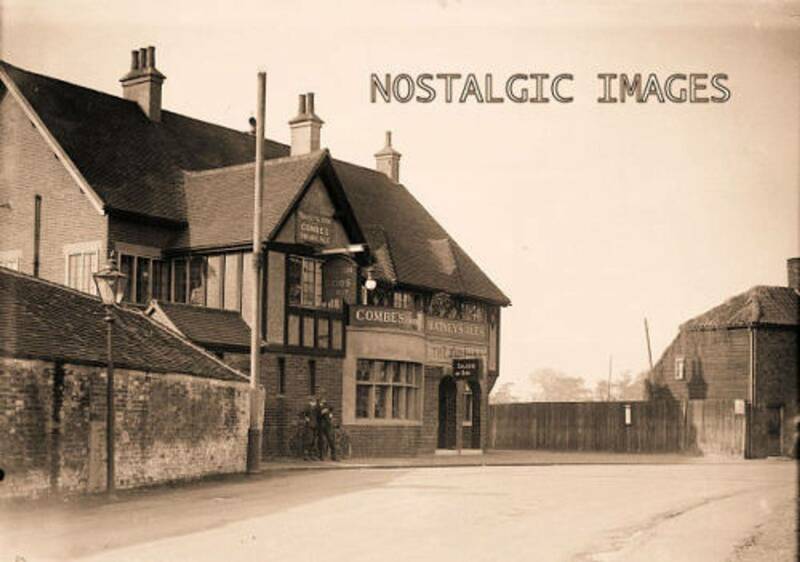 Yes there are a few pubs, but there were alot more, not so many years ago. The working men's clubs have long since closed there doors, being demolished: as was the old Odeon cinema, which is now so-called luxury flats. Many of the shops are tacky, being pound shops or fast food outlets or low quality stores. It is also with much regret to say that this is not the region where I grew up in. Indeed, I spent much of my adult life here. My formative time was in the 1960s & 1970s, which was largely free from worry: even the 1980s & 1990s were relatively fine. Yes we had drunks and antisocial behaviour, the occasional yearly murders, but the homicide and crime rate is nothing like that of today. In addition, we have seen terrorism rear its head here in recent months, and acid attacks. There have been 25 murders between 2006 to the end of 2013 in Barking & Dagenham.More in recent years, but I do not currently have the figures yet [http://www.citizensreportuk.org/reports/London-murders.html]. Having said that, with murder and crime go borough deprivation, they go hand in hand, with Barking & Dagenham being ranked 22nd in the country. At this conjecture I must go on to say that from 2006 until the end of 2012 that Lambeth (79), Newham (57), Southwark (52) & Hackney (43) all have much higher murder and manslaughter rates in this same period. Yet again, these are amongst the most deprived boroughs. During this time of increased felonies and unlawful acts, Barking police station at 6 Ripple Road was closed and sold off in 2014 for £925,000 [B&DP: 13/07/2017], which lay within the town. Officers were moved to Fresh Wharf Custody & Patrol Base, Unit 24, Muirhead Quay, Fresh Wharf Estate, Barking. This is a distance of 1 mile away or 5 minutes in a squad car, not a sensible move considering the levels of crime here, whereby the original police station was just yards away. Crime within 1 mile of the centre alone [IG11 8NH] is running at almost 1,000 incidents per month. In 2014 there were 11,512 incidents here: the following year there were 11,332 and in 2016 there were 11,618. The majority of incidents being: violence, theft or of a sexual nature [https://www.streetcheck.co.uk/crime/IG118NH/2015/06]. More sadly is that most of these occurences go unsolved. It is a place I do not venture often today. I do not like the town or the region for what it has become... People I know say the best thing about Barking & Dagenham are the train stations... to get you out of there ASAP. Dagenham police station had also come under the threat of closure once again, due to cost cutting measures [B&DP: 19/07/2017]. The MP for the region, John Cruddas, said, "Now is not the time to be cutting back on policing... Crime is on the rise." One piece of good news was that in November 2017, Dagenham Police Station had been saved, after a 5,000 strong petition was presented for public consultation. This was led by Mr Cruddas, who presented it to County Hall in London. The decision to stay open was announced by the Mayors Office for Policing & And Crime (MOPAC). All is not gloom though, both Barking & Dagenham have rich histories, which are recorded on sites like this one. However, it really is regrettably all in the past today! In recent years as noted: the police station has gone, the magistrates court also: in addition a decent library, built in 1974, has been transmogrified into a monster with flats above... not many books here either. Long established stores and businesses have been forced to close, due to changing clientele and high rates. Even the banks have closed their doors! 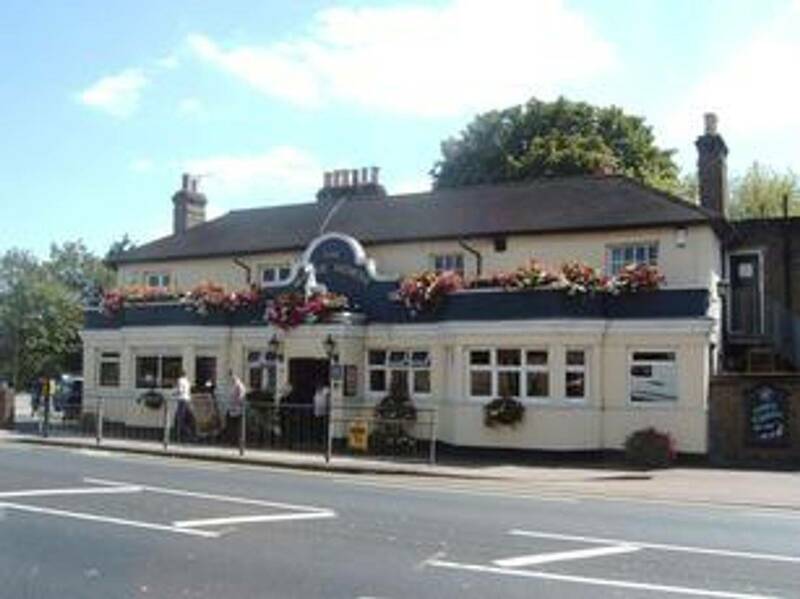 Anyway, forget about all that.... we can drift away safely by reading about the history of the Borough, remember when things were better here, and life was much more simpler. I hope these pages enable people to reminisce or learn more about a town, which is once where William the Conquerer stayed, and boasted the third wealthiest Abbey for nuns in the country. You'd never believe it! The Barking & Dagenham Local History website commenced in 2006, but within 4 years had reached its potential on Freewebs, which later changed its name to Webs, with this change the price of increasing content to my site also rose. I had now also reached the limit for storage on a free basis. Another factor was cost. I did not have the funds to continue in this format, which had served me well for these years. This sought me to look for a new service provider, and brought me into contact with One.com. This worked well for a number of years, but they altered their system, and trying to transfer the site to a fresh provider was almost impossible, as they utilised different formatting than the others I tried. This in real terms means that it is no longer viable for me to update the site, without removing content from it first, which would I feel in effect detract from the excellent content and layout! The site has been down for well over a year, since 2016. I am currently trying to work my way round this, and have thought about migration to a new provider, but this involves even more expense, and is extremely costly. For a while the site was in limbo, while I sought alternatives. On 1st August 2017 I decided to return to Webs.com as this is most suited to my needs. Bear with me while I get things up and running again. Newspaper articles for the year 2009 were the last additions to the site index, I shall not be adding any news cuttings and stories after this date. The Barking & Dagenham Post has an archive of their E-editions, dating back to this time. Alot of labour has gone into the Newspaper items. This reflects the amount of time taken to research and compile them, and I believe show all the hard work that has gone into the initial project. The formation of these indexes has run incredibly into a year or two. The Barking Shop Survey, 2004; along with the 'Newspaper Indexes', are available to download immediately as E-Books, at a modest fee. More serious users can purchase a 'Print on demand' paperback. If you wish to know more please do not hesitate to contact me on the e-mail address below. Also available for download or paperbacks are: "A Roam Through Chadwell Heath" and "Health & Sanitation in Barking Town in the 1800s". More information can be found on all these works on the Books & E-Books section. The 'History of the 179' that I wrote was employed in the London Bus Magazine. The editor seemed very enthusiastic over this piece, which is of topical nature. Currently the photographs are lost to this site, and also bus 87 pages. However, do not let this deter you sending me any items, memories or photographs of the Borough. Please remember though, that as Editor I do have to edit sometimes, even if it is just to allow these to fit within the confines of the pages here! I hope to eventually return the Chadwell Heath Power Point display. This requires a lot of hard work to restore, again this is lost. 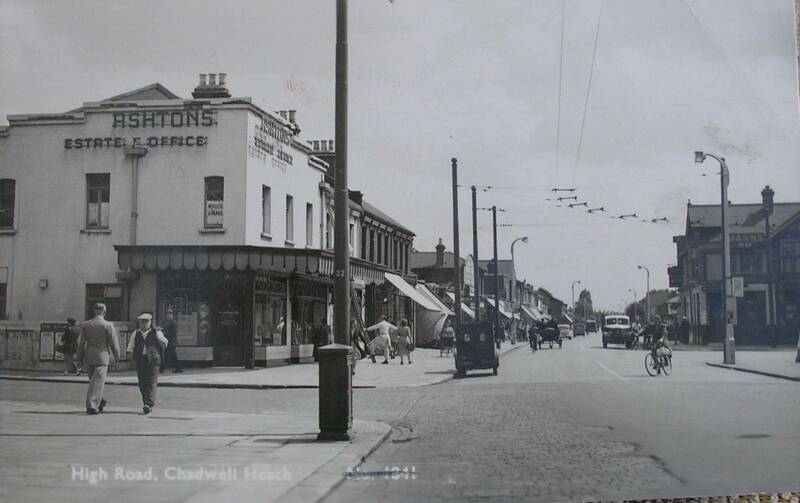 For those interested this captures the High Road in Chadwell Heath, the section lying in Barking & Dagenham. I compiled this display between March and May in 2009. The study proved very interesting, but to get many of the pictures it meant an early morning start prior to the traffic building up on the busy road. Many of the buildings are from late Victorian times, being original and still surviving today. Although these are just over a hundred years age-wise, they form the oldest series of buildings and structures within one roadway in the whole of the London Borough of Barking & Dagenham. Unfortunately, we have lost some of these today, including: the blacksmiths and the old pump near the boundary with Having. The web site in its first year from 2006-07 received over 5,000 hits. Its second year has proved even more successful, as in November 2008 the count was well in excess of 20,000... far more than I ever thought possible when I came up with the idea. I thank all the people who have utilised these pages in the past and found them useful. All the items have been prepared by myself for the site, and although many are my copyright I do not mind other's utilising details from them for personal usage only. If you are using them for other uses please contact me, details of copyright exist on the readers' service page. Some of the pictures are also my copyright, so please see the new Readers' Services page (link below). Please sign the Guestbook if you have found these pages of interest! I think one of the successes of the site was chiefly due to constant updating of the pages and adding new features. I shall not be updating as much as I used too, but I am always open to receive articles for consideration on the pages, and one such person-- Mervyn Gould-- who is sadly no longer with us, provided me with an excellent compilation on the Cinema's of the borough. Please be aware that I am free to edit the material if I think fit! 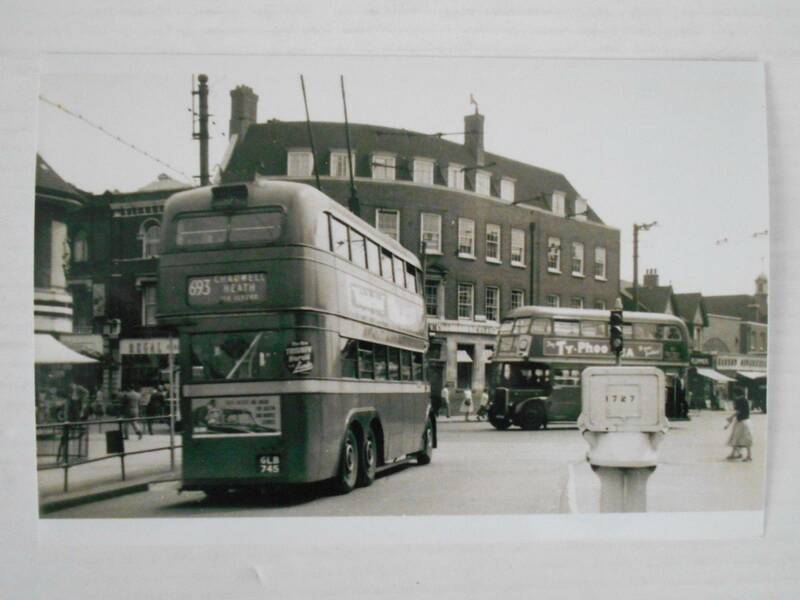 https://www.barkingdagenhamlocalhistory.co.uk/apps/guestbook/ and any stories of pictures can be sent to me direct. My email address is at the bottom of this page. If you have any photographs that you wish to share on the district I am always happy and grateful to do so. Please scan them over to me at my e-mail address. An abridged version of the Barking Ministers' Account for the Manor of Barking, dated 1540, was added on 28/10/06. A Place Name Index for this was added early in 2007. These show the principal entries in the manuscript, both names and places. A searchable version is available from myself. On the 8th March 2007, an abridged version of The Rental for Barking Abbey, dated 1456, for the northern part of the town was included. This does not include the following information: the page number in the Translation, the original folio number in the manuscript (Mss), the total properties owned by the landowner/occupier, his trade where known, or indeed the full Mss property details, in addition the total rent for each persons properties, although the unit rent is given here. As before these further details are available directly from myself if required. Unfortunately interest has not been sufficient for me to add the Rental for the southern part of the manor, which includes south Barking and Dagenham. The 2004 Barking Town Shop Survey is available from Lulu.com or direct from me, and a fully searchable version is obtainable on Microsoft Access. There are further surveys of Barking's shops which I took in 1988, 1993 and 1998, and these are also available directly from me, as a paper copy. Due to the amount work involved a fee will be charged if anybody requires any of these. The Newspaper Index provides information chiefly for the Barking & Dagenham region. It includes articles from the years 1888 and now runs through to the end of 2009. They are available in two parts, but please be aware that some later years are not included. Further information on this is given in the Books & E-Books section. They are available in two parts, in the books & e-books section, or direct via the author. Although these indexes are not exhaustive, they are still a useful tool and finding aid for those researching the Borough. They consist of historical items principally, or unusual news stories and transport snippets. I formulated the bulk of this between 1984-1986 spending long periods of time on the microfilm reader down in Valence Library Dagenham. I'd come out of the old reading room there with cross-eyes! It too is available on Microsoft Access. The local libraries staff have also found this useful! Also available is a Place Name Index of The Survey of the Manor of Barking in 1609 in Word format (although does not appear here). The original of which was taken during the reign of James I. A variety of photographs and documents are in my possession, and a 'Photographic Source & Document' Index has been placed on the site during March 2008. This again is not exhaustive of my collection! Many of these photographs are taken by myself from 1986-2018, and show Barking & Dagenham in a state of flux. These include Barking Town, Dagenham Village, and other main regions; in addition most major buildings of the region over the last 30 plus years. A small range of these photographs is shown on the website to give readers' a notion of what my collection entails. 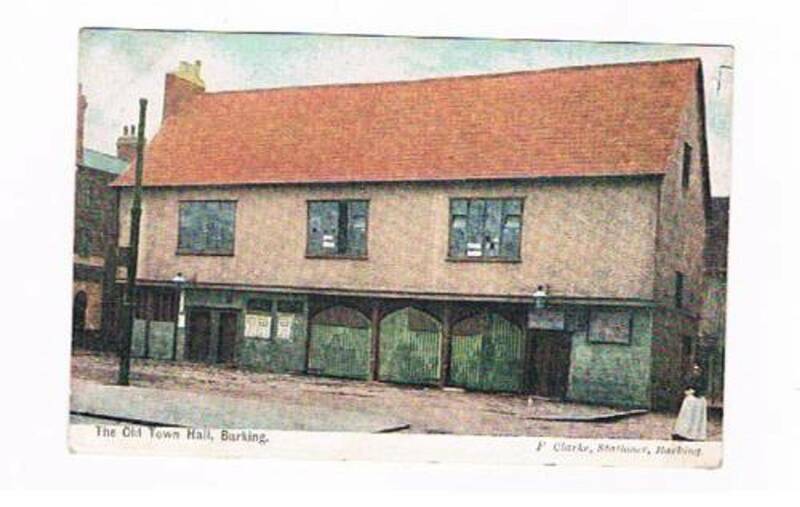 A selection of historical photographs is also available on the Borough. A section of these has been added covering both Barking and Dagenham. Another selection of modern views has been placed on the site in the Summer (2007), and augmented following readers' comments. 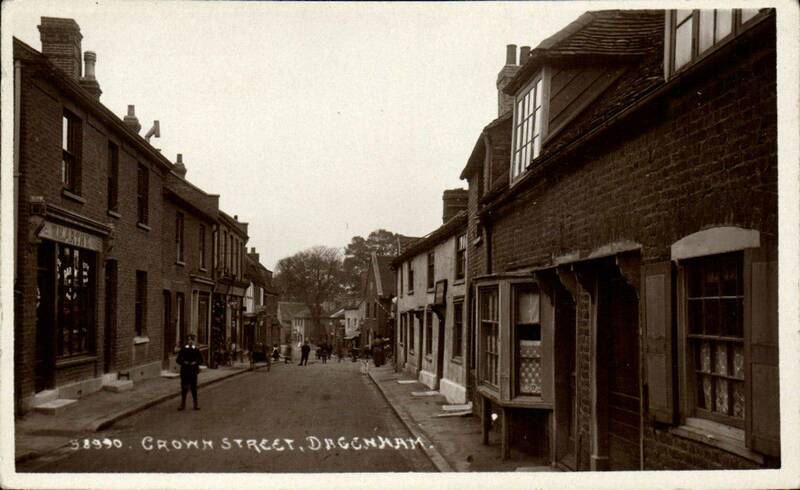 The Dagenham pictures section was updated, May 2008. 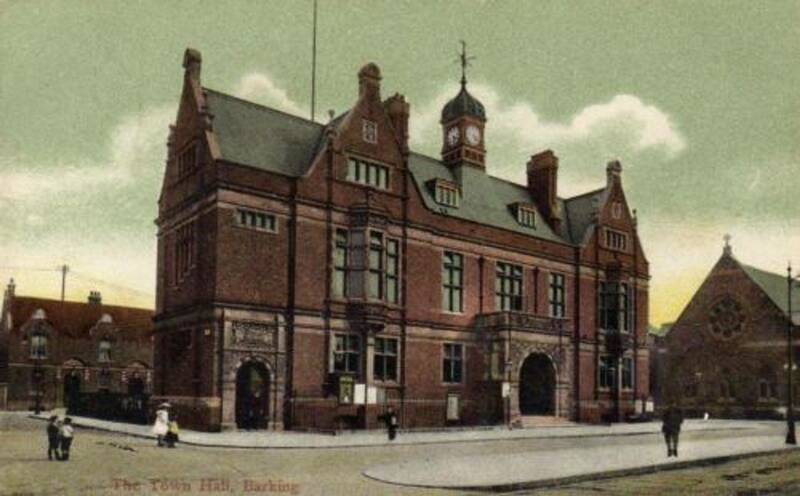 The History of Barking Reach has been added (October 2007), Barking in the 1890s and The Manor of Barking from 1500-1750 (January 2008). Mervyn Gould's details on cinema's was also added (Summer 2008). A large part of my collection comprises of Transport information for Barking & Dagenham. This includes: stagecoach, turnpike, tram, trolleybus, omnibus, bus & train timetables, maps, tickets, magazines and other ephemera. The latest addition was a selection of Transport Pictures from my ever expanding collection (October 2007). Anyone with an interest in the 'Vickers' surname may also find this site interesting. 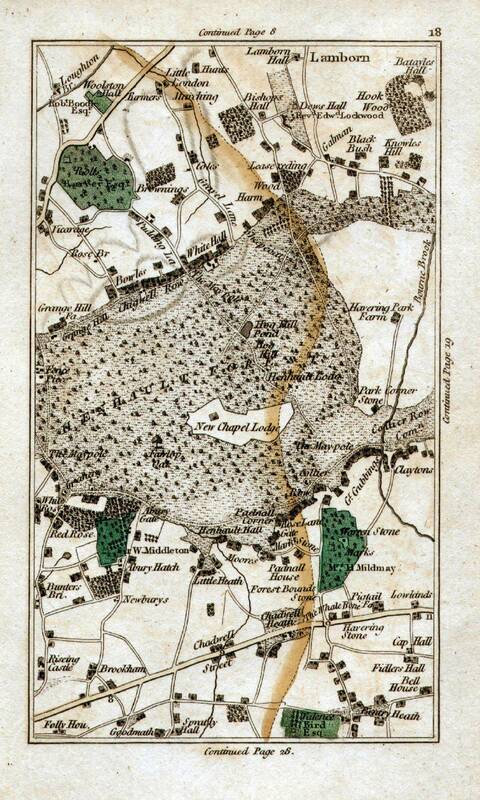 Who knows we might be related, especially if you are from one of the flowing places: Sudbury, Suffolk (1790-1850s): Halstead, Essex (1800s-1870s): West Ham, Essex (1860s-1960s): Rainham, Essex (1940s-1960s): Rainham, Havering (2000-2010): Barking & Dagenham, Essex & Greater London (1950s-2012). Contact me direct if you feel there is a connection. The site itself, is intended to be of assistance to people interested in local history, throughout not only the London Borough of Barking & Dagenham, but through the country. The site is also accessed by people all over the world, in particular the USA and Australia, where many old residents live today! If any reader requires further information about these historical items or articles, or indeed would like a question answered, you will have now have to become a member of the site, and then leave a comment on the testimonial page. I will do my best to provide the answer or point them in the right direction. Please still e-mail me direct with any basic questions about the items on the website mrivickers@aol.com.